Businesses are now widely using application programming interfaces (APIs), but despite widespread use, a recent study has found most companies are struggling with challenges ranging from getting infrastructure in place to finding suppliers to simply setting strategy and objectives. 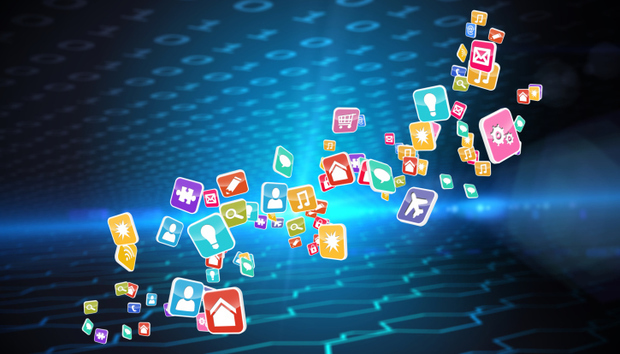 "APIs can add tremendous value to a business, but simply having them is not enough," says Rahim Bhatia, general manager, Developer Products, CA Technologies. "Like products, they have to be properly created, managed, monitored and secured or bad things can happen, as we saw in recent connected car incidents or the Snapchat breach two years ago." API management specialist CA Technologies sponsored the study, APIs and the Digital Enterprise: From Operational Efficiency to Digital Disruption, conducted by IT industry analyst firm Freeform Dynamics. The study was based on an online survey of 1,442 senior IT and business executives in July 2015. The respondents represented larger organizations across 16 countries and nine industries. The survey was augmented with in-depth telephone interviews with key industry executives. Freeform Dynamics found that organizations are using APIs to build mobile and Web apps (76 percent and 78 percent, respectively), integrate back-office systems (79 percent) and to enable third-party developers and incorporate third-party services (74 percent each). "This indicates there is no one starting point from which organizations begin their API usage, as every organization has different initiators for their projects," the report concluded. "Given this, it is important to recognize that whatever the start point, API usage is certain to expand over time to embrace new areas of the business. There is therefore a requirement to put in place a management infrastructure that can support expanding use cases and business scenarios." The management infrastructure must address a number of requirements for the safe, efficient and effective use of APIs, Freeform Dynamics found. One of the most significant requirements is the need to secure APIs and their associated back-end systems, as well as to manage API performance. Because one of the most important attributes of APIs is their potential for reuse, performance and security must be monitored and managed on an ongoing basis as usage patterns change. The top current and future drivers for using APIs included customer experience (85 percent), faster delivery of new apps (84 percent) and extending digital reach (84 percent). But despite the strong drivers, respondents in the study indicated that overcoming API challenges is a work in progress. Freeform Dynamics created a segmentation of the study called the API Capability Index, which was based on feedback from the 920 IT respondents who participated in the study. The participants were asked about 10 API-enabling capabilities, grouped in four categories: Lifecycle Support, Core Security, Run-time Environment and Operational Management. The responses were scored and broken into three groups based on well they were prepared to support APIs: Advanced, Basic and Limited. The responses split almost evenly into the three buckets: 34 percent fell into the Advanced group and 33 percent each were Basic or Limited. Perhaps unsurprisingly, the respondents who fell into the Advanced group shared a number of characteristics. "One of the most striking findings from this research is the strong correlation between the level of API-enabling capability and the benefits achieved from API-related investments," Tony Lock, former IT manager, now a Freeform Dynamics distinguished analyst, said in a statement. "On average, advanced adopters are two to three times more likely to be citing significant benefits than their peers at the other extreme with limited capability. It's not just about whether you use APIs, but how you implement and manage them." The study found that 65 percent of Advanced API users were able to deliver an improved customer experience as compared with 25 percent of Limited users. Likewise, 61 percent of Advanced users experienced faster delivery of revenue-enhancing apps compared with 23 percent of Limited users. Additionally, three times more Advanced users as Basic users (61 percent versus 21 percent) said they were able to extend their digital reach. "An important principle we see at work here is that your initial emphasis doesn't matter," Freeform Dynamics wrote in the report. "You may begin to put enabling capability into place to support internal integration, or perhaps to enable your mobile development activities. Either way, the infrastructure, tooling and processes implemented can be leveraged right across the spectrum." Freeform Dynamics also identified a cadre in the Advanced group that it called 'Digital Disrupters.' The Digital Disruptors were high achievers that enjoyed superior results from their digital investments in relation to a range of recognized KPIs, including market share, customer acquisition, revenue, profit and more. The researchers found that, compared with their mainstream peers, Digital Disrupters were two times more likely to leverage APIs to optimize internal development and 2.8 times more likely to use APIs to enable the third-party developer ecosystem. "Whatever your starting point, if you are looking to drive improvements to deal with short-term risks and inefficiencies, or create an environment to help you better address longer-term requirements and opportunities, it's important to recognize that success is dependent on more than just infrastructure and tools," the report said. "A clear, high-level understanding of the value of APIs in business terms is critical, and not only to allow you to formulate a strategy and increase the chances of budget holders approving it. In today's application economy, it is important that senior managers understand the importance of seamless digital access and integration both internally and externally, and that this is enabled through the effective use of software and APIs."